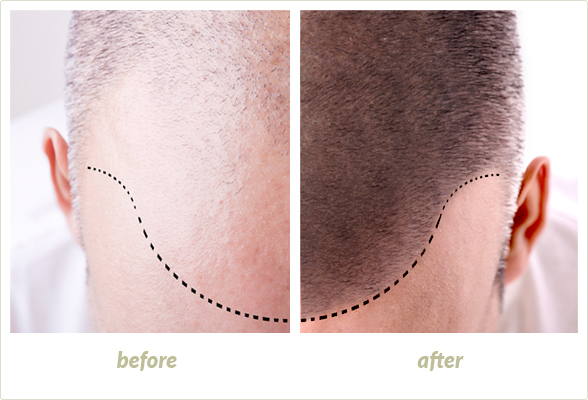 Shear Pointe offers all forms of hair restoration including multi therapeutic. One multi therapeutic option is our Hair Transplant and Laser Therapy System. This system replaces hair you’ve lost and helps prevent future loss $250 off our “hair transplant & laser system"
Watch A Guest Restore His Hair in Just 1 Day! We Love Seeing You Happy! There's no better feeling than seeing the excitement and confidence that comes with a successful hair restoration treatment. Whether you are just beginning to experience some thinning hair, or are in the most advanced stages of natural or medically related hair loss, we can help you with a full spectrum of programs for both men and women. Shear Pointe is a member of Transitions International Group and is a proud Transitions Hair Loss Center. 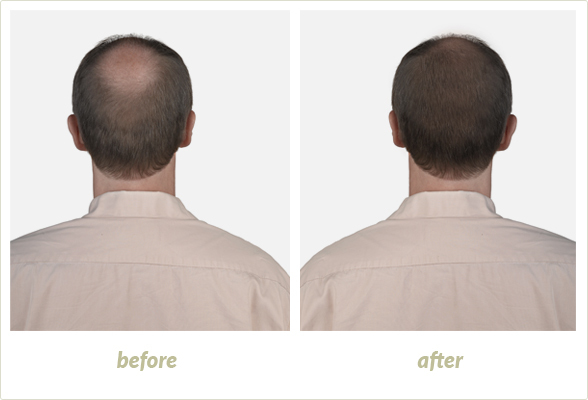 Transitions is an elite group of hair restoration specialists, composed of award-winning international members. Our expertise, combined with our advanced technology, offers the most comprehensive and successful alternatives to living with thinning hair. With This Many Solutions Under One Roof, Success is the Only Option. 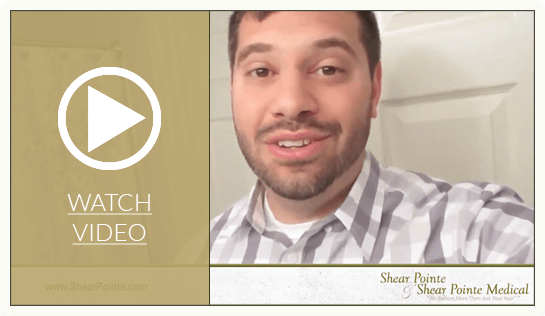 At Shear Pointe, we are proud to offer the very latest in surgical and non-surgical hair replacement. In order to determine which method of hair replacement is best suited to your needs, it’s important to first understand the origin of your balding or thinning hair. Only an experienced hair restoration expert can determine which hair replacement solution is best suited to your needs. Advanced, Non-Invasive & Natural. The Only Side Effect: Increased Confidence. Low-level light therapy is an advanced treatment that improves cellular respiration and function by stimulating the hair follicle cells. Better breathing cells make for a better functioning hair follicle which, in turn, produces happier, healthier hair! As an Authorized LCPRO™ Provider we can utilize a combination of hair restoration treatments and laser bio-stimulation to help you regrow your own hair naturally. We Can't Make You Younger, But You'll Look & Feel Like We Did. A permanent hair restoration solution that was once only available to men with typical male pattern baldness, modern hair transplant techniques are now delivering lasting results to men and women worldwide suffering from all types of hair loss. 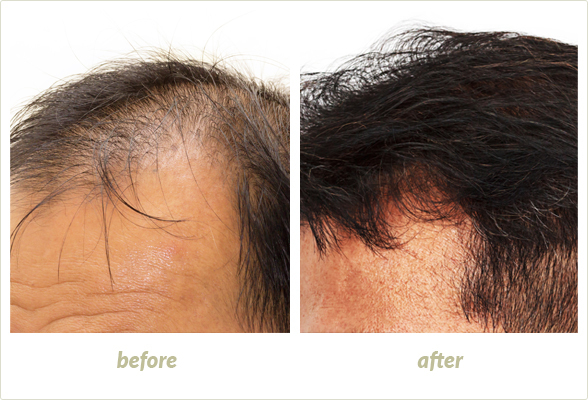 As Southeast Michigan's leader in hair transplant therapies, we are excited to help you re-discover your natural confidence! Remember What Luxurious Hair Looked Like? Let's Jog Your Memory. Thick, luxurious hair is a sign of youth and vitality, for both men and women. 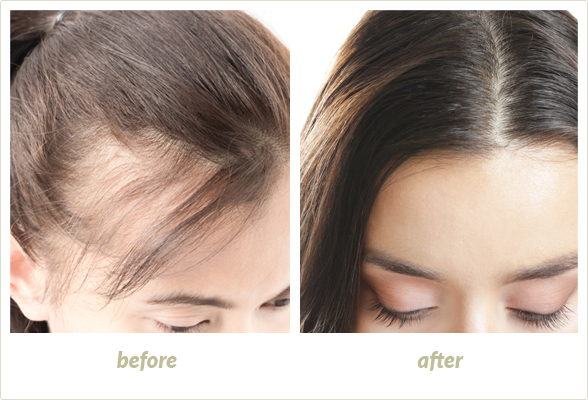 At Shear Pointe Hair Restoration Center we are the leading providers of Detroit hair extensions. Our team of highly skilled stylists has been trained by the biggest names in the hair extensions industry. Our expertise is second to none. If you’re seeking a Detroit hair extensions specialist in Southeast Michigan, you’ve come to the right place! Family-owned & operated since 1969. We employ the best team of stylists in the area. We value your privacy & discretion. We provide the latest & greatest treatments. We truly understand... it’s more than just hair. We change more than your hair, we change your life. Our team is committed to quality service! I've been coming to Shear Pointe for about seven years and I can't imagine going anywhere else. They are truly kind, caring and professional people and they make you feel comfortable and relaxed. Their laser treatments are excellent and their stylists are wonderful. You can't go wrong! Donna G.